Buford Betty: Two more weeks! I love IKEA and haven't been in one in years! When are they bringing one to the Carolina's?! So glad that I am no longer working. The months and weeks leading up to Year End were always the worst for me. Keep up the hard work. The end is in sight. Hang in there! Next year when I am working we can both gripe about busy season. PS - IKEA is coming to Charlotte next year. I can't wait! They had ballet flat shoes that are the same pattern as that skirt in the BR Outlet! 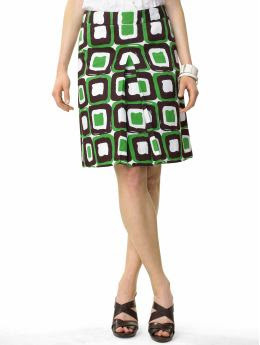 That skirt is adorable - anything with kelly green and black makes me smile. Hope you're well :).